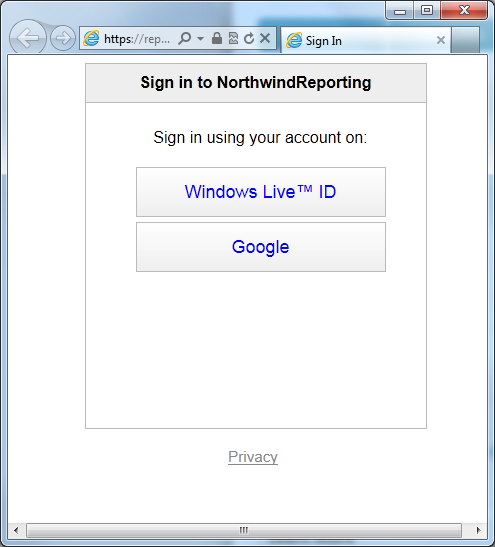 To beginning was to get a data source to work on, and at the moment, that means SQL Azure database(s), which – of course – makes perfect sense, and so I promptly created a SQL Azure Database server, and, using the SQL Azure Migration Wizard, I’ve migrated good old Northwind onto it. Now that I have a data source with some familiar data, it was time to create a report. 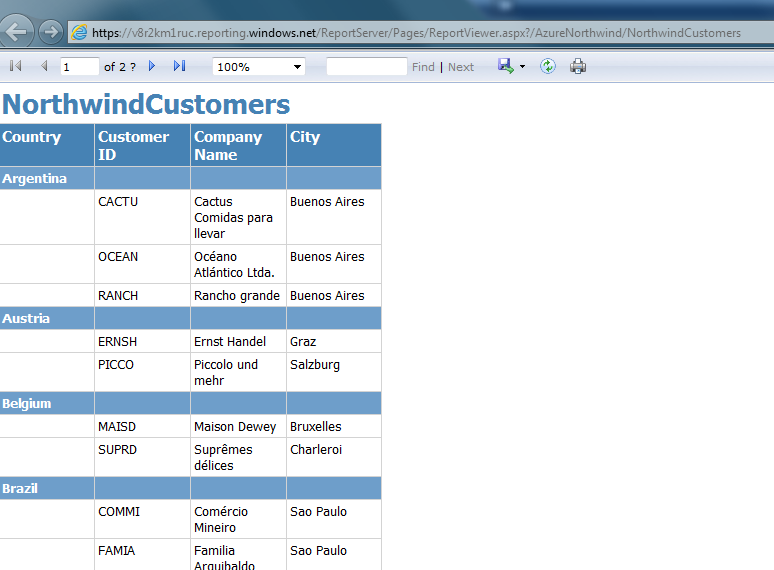 It was simply a case of typing in my database server name and credentials and provide the database name. The only other thing I needed to do is set the TrustServercertificate to True under the properties accessed through the Advanced button. This, of course, is not necessary at this stage, it is perfectly fine to start working against a local reporting server and deploying the report later either through the management portal or by changing the server property in the report project’s properties and deploying from Visual Studio. With the wizard complete I could now run my report from Visual Studio and see the results and the only thing I noticed is that I had to provide the credentials to the data source every time I ran the report. This might be desirable in some cases, but I wanted a more streamlined experience, and so I set the credentials to the database in the data source. the report file itself will be protected through the management portal and the login to that, so these don’t get compromised. So – at this point the report is fully operatoinal, and can be accessed via a publicly available url. access is governed by username/password pairs setup through the admin console and permissions set on the report itself (or a folder0, and that’s probably good enough for many scenarios for departmental reports inside the organisation. 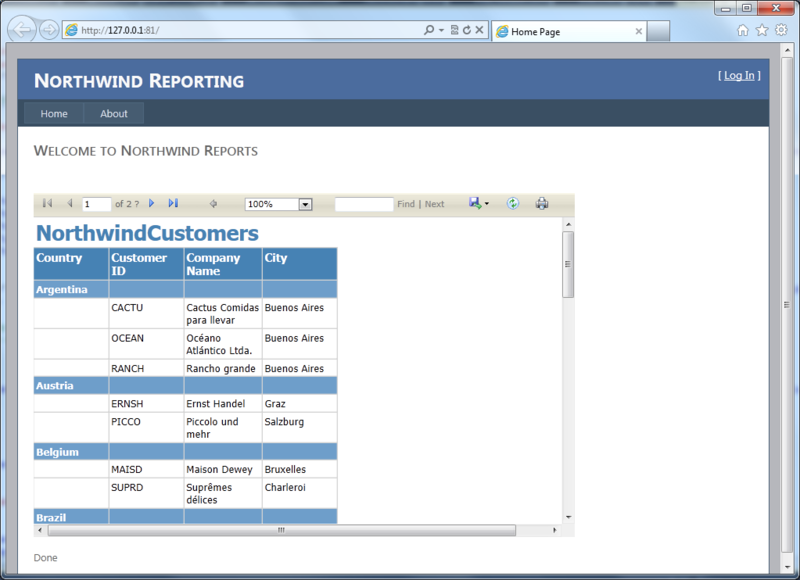 Embedding the report simply meant, in my little example anyway, using the ReportViewer control on an ASP.net page; I’ve configured the ServerReport property of the viewer with the relevant Uri’s and made sure to set the control ProcessingMode property to ‘Remote”. 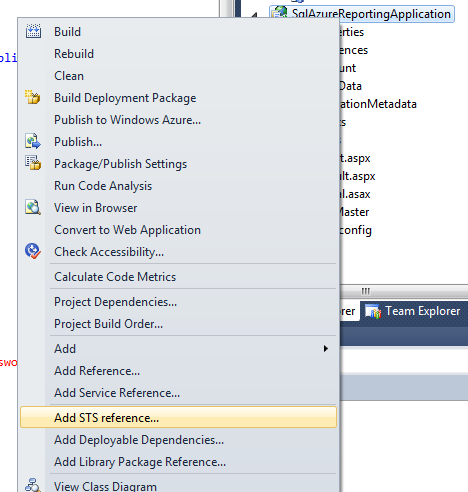 The last step, then, was to add support for STS. Choosing the provider I want I am redirected to the login screen, hosted by the identity provider, and from there back to my application. the second time I will access my reporting application these redirects will happen, but local cookies in all parties will remember me and I won’t need to sign in again, until I sign out or the cookies expire. 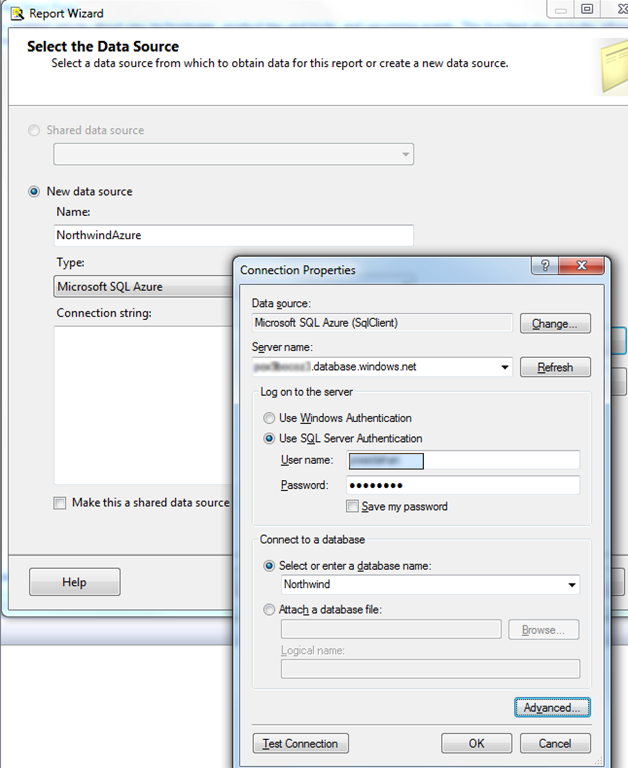 The only thing to note is that the ACS configuration includes the url to the application, so once tested locally this needs to change to include the url on Windows Azure but once done, and deployed to Windows Azure, I can now browse to my reporting application, login using, for example, my Windows Live ID, and view a report on SQL Azure Reporting.